To disciple, develop and love have always been the things that have been in my heart, I describe it as the passion that impels me in the ministry in which God has placed me to give honor and glory to Him. There is no greater joy in my heart when a person gives his life to Christ and decides not to conform but change his mentality to serve God and continue to develop new spiritual and professional skills that allow him to glorify God and impact other people around him . 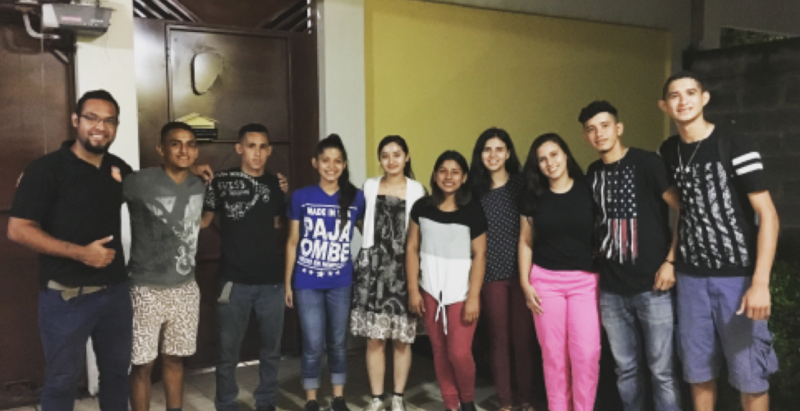 Or testimonies like Paola’s: “Before I had God in my life, my dream was to finish up to sixth grade and finish my education there, since it was normal in my community, and it seemed impossible to go any further. Now God has blessed us with people who love Him as you (Sparrow Missions) and I could continue with my studies, and this year I will graduate from high school and my dream is to go to college and be a television reporter or host. All this seemed impossible, but with God there is nothing impossible “. For me it is overwhelming how these young people full of potential and love have allowed God to make their lives so admirable, so many of the children and young people now want to follow in their footsteps and be like them, and the only reason for this is because these young people follow in the footsteps of Jesus and want to be more like Him. What a beautiful image of discipleship! For to this you are called, because Christ also suffered for us, leaving us an example, that you should follow in his footsteps. God is faithful, and the purpose of everything we do must be to disciple, and what better way to do it than through service. 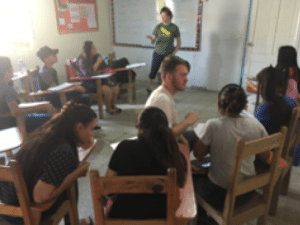 And things like the Sparrow Academy, Villa Sparrow, Sparrow 504, missions teams, english classes, computer classes, education for young people “Camino Nuevo program”, music lessons, carpentry, soccer program, etc. Those are tools that God has given Sparrow missions to SERVE and through that, disciple people to expand the kingdom of God. And in the end we can summarize the leadership and discipleship in one word: To SERVE. John 13: 13-17: 13 You call me, Master and Lord: and you say well, because I am. 14 For if I, the Lord and the Teacher, have washed your feet, you also ought to wash one another’s feet. 15 For I have given you an example, so that as I have done to you, you also do. 16 Verily, verily, I say unto you, A servant is not greater than his master, neither is the apostle greater than he that sent him. 17 If you know these things, blessed are you, if you do them. So my prayer is that as Christians, wherever we go and whatever we do, in our jobs, our outings, families, our daily life is admirable, and that people look at us, marvel and want to meet God because with our living we reflect Jesus Christ.